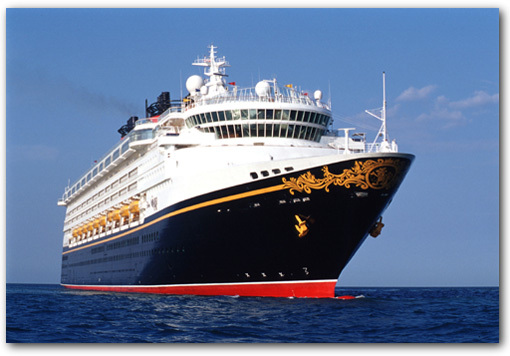 Coming in 2013, the Disney Cruise Lines ship the Disney Magic will be returning to Europe with 13 ports of call in the Mediterranean featuring several exciting new itineraries! The Disney Magic will be exploring tancient cities and age-old cultures brimming with history thousands of years in the making. The Disney Magic will be sailing to Rome, home of the larger-than-life Colosseum and the breathtaking Sistine Chapel, soak up the sun and fun on the Greek Island of Mykonos or take in the romance of Venice and its famed St. Mark’s Cathedral—just to name just a few. The home port in Europe is the city of Barcelona in Spain, where architectural wonders, charming cafés and beautiful beaches make it an ideal place to embark on your Western Mediterranean cruise. Chart a course on an itinerary that takes you from the sunny shores of Barcelona, Spain to the breathtaking French Riviera and back, with a stop at Medieval Palma de Mallorca. This Disney Cruise Line 7-Night itinerary takes you to Spain, France and Italy. Depart Barcelona for ports of call including Villefranche, La Spezia, Civitavecchia and Naples. Plus, 2 enchanting days at sea. Embark on a grand journey. Choose from 2 itineraries. Departing from Barcelona, visit ports of call in France, Italy and Malta, as well as new stops in Piraeus, Kusadasi and Mykonos. More inforation is available from Disney Cruise Lines.